Southland Shopping Centre introduces paid parking on Monday 16th October. But before you reach for the pitchforks, it only applies if shoppers stay more than three hours. You get the first three hours for free, with an extra hour if you’re going to a movie. Beyond that, it’s basically $3 per additional hour. It uses number plate recognition, so if your stay is free, or you’ve pre-registered with a credit card on their web site, the boom will raise and let you out automatically. Otherwise you have to pay as you leave. The details are all here: parkwestfield.com.au — it’s clear from the site that they’ve got this running at a number of Westfield centres around the country, so you’d think they have a fair idea of what it might do to shopper numbers. EXTRA HOUR FREE FOR CINEMA – Customers who see a movie at Village Cinemas Southland will get one extra hour of free parking with cinema ticket validation. FREE ENTRY AFTER 6pm – Parking is free when you enter the car park after 6pm and leave before 6am, meaning there’s plenty of time for dinner and a movie. SAME DAY RE-ENTRY – If you exit the centre and want to return on the same day, there must be one hour between exit and re-entry in order to receive another three hours free parking. DISABILITY PARKING – Shoppers with a valid Disability Parking Permit can register for Ticketless Parking to receive free parking all day. If you hold a permit you can visit one of our Concierge to have it validated to access free parking. Skip the pay stations and register for Ticketless Parking for a quick and easy exit. So what’s prompted this? Fees are being introduced now to prevent people using the centre car park as a station car park when the station opens in November. In that context, three hours for free makes sense. Personally I don’t think I’ve ever spent more than three hours at Southland, except when I’ve been seeing a movie. So I don’t have a problem with this. However, they’re also introducing paid parking for staff. They’ll be shunted to a special staff car park, and charged $5 per day. I’ll use the train to get to Southland, but it’s not like everybody will be able to. The buses (particularly on weekends) will still be as pathetically infrequent as they are now. Many staff will continue to have no viable choice but to drive. So stinging staff $5 just seems greedy, given many retail workers are not particularly well-paid. Especially for junior part time employees, this would eat into their pay. Okay, now you can reach for your pitchfork. Or at the very least, sign this petition. How many workers will start driving to a station either side of Southland, then fare evade the single stop? ‘It will be the 4th busiest station on the Frankston line’. Really, but we have waited for so long for such an obvious station to be built. Given the the type of hours staff at Southland work, public transport may not be a practical or viable option, so therefore, I signed the petition. Many businesses pay for the staff’s car parking, or provide it, why not for the lowest paid workers. 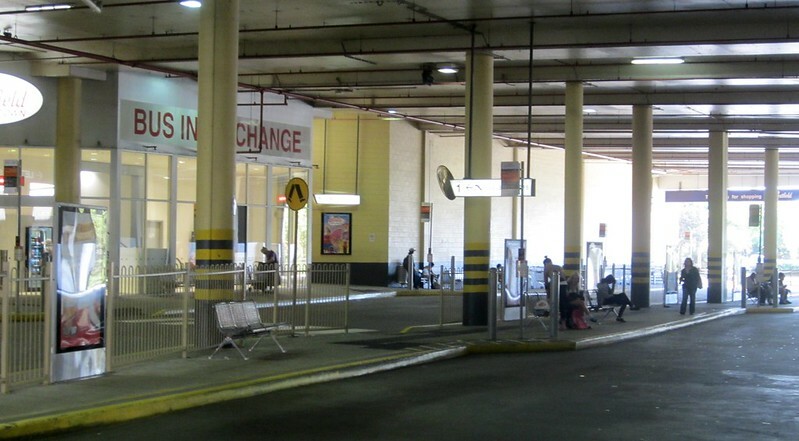 Westfield Doncaster introduced paid staff parking in 2008 ($4 per day), which rose in 2013 ($5 per day). People still work there, so I guess they’ll get over it at Southland too. Eventually. $5 seems like an alright amount for employees, though if they already have a special place for employee parking I cant’ see why it can’t be free for them. I’m guessing they don’t want employees to have a special place to park on days that they’re not working. In the long run we need to stop subsidising parking even short stays should eventually pay, This will happen in the long run as land gets scarce and local governments and businesses realise it cannot be subsidised from other sources. thanks a lot for your summary. Our car is registered for parking there. It should cost us nothing! One thing I’m not clear on: if you see a film and stay for 3.5 hours, how does “cinema ticket validation” work along side the “number plate recognition”? For staff within walking distance of a Frankston line zone 2 station, and do not work starting or finishing at poor PT hours, it is likely to be break even or better to use the train when the station opens. For any staff who get a concession, such as eligible students, it is better than break even (even if they live in zone 1). For full fare staff it is about break even on Myki money, if they have around 60 cents car travel costs per day but is cheaper if they work enough (5+ days per week) for a pass. Weekend/public holiday full fare zone 1 staff also break even if their vehicle costs are $1 per day. Full fare zone 1 weekday staff who do not work 5+days have cheaper parking than PT, unless the station makes not owning a car viable. Weekday staff and some weekend staff will likely switch to the bus if they are beyond walking distance of the railway. A bus train combo will be useful for some of them (particularly if they live near North Rd with the half-decent weekday frequencies of the 630). The City of Kingston is likely to have to place restrictions (mostly a residents excepted time limit) on a greater area of parking around Southland because of parking being charged. The City of Bayside would likely have to apply parking restrictions to a similar area because of the station. With commuter and other existing parking demand and consequent restrictions around Cheltenham, Highett and other Frankston line stations, the available parking at or around stations for Southland staff is likely to be limited. As a premium station Cheltenham may also be rebuilt with fare gates, limiting fare evasion potential (As a destination station, Southland should also have fare gates to limit fare evasion). In Box Hill, the first 3 hours cost $1. Up to four hours costs $3. Up to five hours costs $8. After that it is $11 per hour! So if you go just over 8 hours you are faced with $52. I don’t know if they have staff rates, but there are separate floors for free(?) commuter parking that fill up early in the day. It certainly makes Southland’s daily $18 maximum look good. Box Hill Central/station is in the middle of a significant employment and services precinct, while Southland has far fewer jobs and services around outside the shopping centre. Box Hill is also a growing medium and high density housing precinct, while Southland is surrounded mainly by detached houses (although this is starting to change and will continue to change, especially with the new station). Eastland has had an almost identical paid parking system (first 3 hours free, 4 if you see a movie, charged after that) for a good 2 years now. And yes, us staff are charged for parking. We have to register our cars and pay $6 a day. It’s particularly lame at Christmas as we are made to park offsite at that time in a gravel lot near Costco. Nobody complained, nobody petitioned, we just accepted it. Firstly, what else can we do? If you don’t live near the train line you have no choice but to drive. Secondly there was zero way the centre was ever going to give us free parking because we would absolutely game the system and use it to park for free on days off. And ultimately, the centre itself does not care. They don’t pay us, they don’t hire us, hence they treat us the same as everyone else. If this sounds lame, that’s because it is, but so is most other things about retail work :p The worst part of it is when the system fails to read your number plate correctly and charges you the maximum day rate – which at eastland is $30 – instead of the $6 staff fee. Fun times. For those interested in the provision of car parking for train users: the number of unrestricted all day commuter car parking spaces at Cheltenham Station was recently increased in the west side car park. To achieve this feat, a pedestrian path parallel to the train line was removed, an ancient mature gum tree and native garden was removed, and what was previously parallel parking was converted to 45 and 90 degree angle parking. All up, an increase of about 30 car parking spaces. Half a busload. Just a follow up on my Cheltenham Station car park comment: it dawned on me today that it was probably a “zero net loss” swap deal for the car parks consumed by the new substation in the north-east car park. So not an increase, just a loss of amenity for the benefit of a few cars. It’s very simple just make all parking 4 hours end of problem. We did it at Mentone with 3 hour parking . Comuters stoped parking in car park straight away. Put in staff parking areas. No restrictions from 6 pm. It’s all about Westfield making money. If they are reading your number plate incorrectly, then how are they charging you for it ? They would be trying to charge some random person with a number plate similar to yours who lives in Mildura.